One of the only disappointing moments that occurred during our cruise through the Alaska Inside Passage was crab night on the ship. Despite what you might think, the crab on the ship was just a rubbery and tasteless vehicle for butter. Thankfully, however, our experience was redeemed by the freshest, most delicious crab I’ve ever tasted in Juneau. Stumbling upon Tracy’s King Crab Shack was kind of an accident. We had spent the day hiking to Juneau’s enormous Mendenhall Glacier and only had about an hour left before we had to get back on the boat. The crab shack looked cool, it was basically an outdoor biergarten with an open kitchen “shack” right in the middle and a gorgeous backdrop of mountains and glaciers (pictured with a cruise ship blocking the view). The menu is pretty simple: king crab legs, local Dungeness crab legs – all of it fresh, none of it cheap. 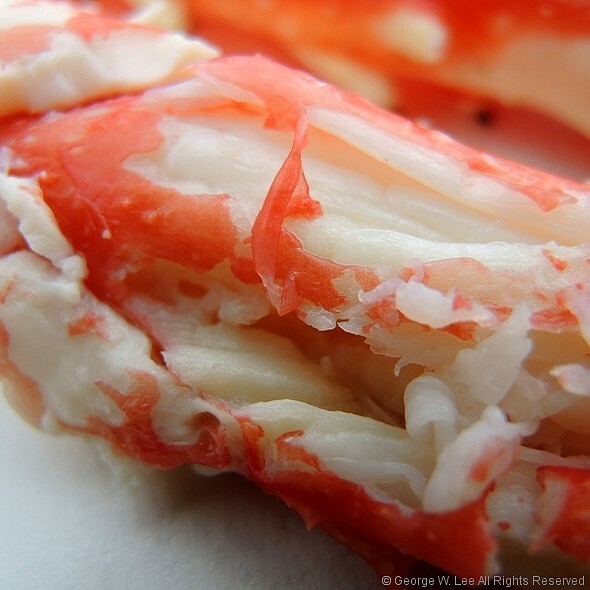 If you order the king crab bucket, it comes with a few rolls and all of the melted butter and slaw you could ask for. I love shellfish like crab, lobster, oysters, and mussels because I really enjoy food that involves some work on your end. Mastering the art of hammering open a lobster claw with a wooden mallet and prying out the meat in one slab was something I learned at a young age from my Boston-bred parents. When eating requires that a skill, I’m always up for the challenge. Without knowing, we found ourselves the best seats in the house at Tracy’s when we sat right at the counter of the open kitchen shack. If you ever get the chance to go here, SIT AT THE COUNTER. The crab on the menu is expensive, though worth it, but the chefs give you more bang for your buck when you sit at the counter by throwing you any scraps of hot crab meat fresh out the pot. We must’ve gotten 4 or 5 pieces, and I’ll never forget the first tantalizing bite I took into the crab meat that seemed to melt in my mouth without the aid of butter. Yummm! Being a foodie doesn’t always mean finding the most elaborate recipes and intriguing flavor combinations. One of the great parts about food in Alaska is its simplicity – the food coincides with the pure beauty of the surrounding wilderness. When it comes to a meal in Alaska, the focus is freshness. Fish caught that day, jam made from fresh berries, smoked reindeer sausages in a bun are a few staples that seem simple enough, but taste unlike anywhere else in the country because of the environment they come from. That was the lasting impression Tracy’s crab left me with. Freshness does count. Sitting beside my nearby stream eating fresh caught grayling for breakfast only minutes after it was landed…it indeed does not get any better than that!